2-in-1 moisturiser and aftershave helps shave minutes off your morning. 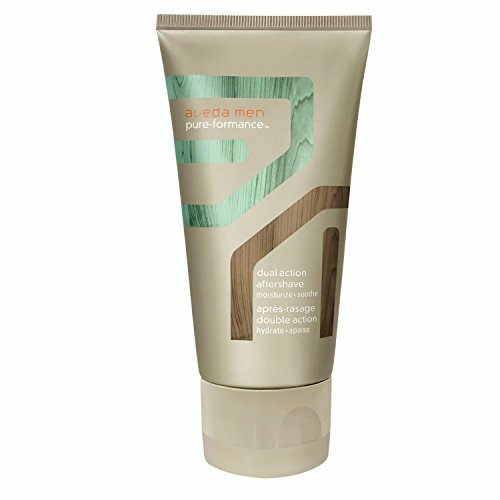 Contains our exclusive phytoactive blend with naturally derived ingredients specifically created to treat men's skin conditions with soothing, anti-oxidant power. Clinically proven to reduce razor burn and in-grown hairs. All-day moisturizer even for days you don't shave Improves skin barrier strength by up to 47%* Improves skin tone and texture Helps controls excess oil 97% naturally derived** Rich and refreshing aroma combines organic lavender, vetiver and lemon *After 8 weeks of product use **Ingredients from plants and non-petroleum based minerals 75ml Active Ingredients: Argan: From the nut of the fruit of the Argan tree, which is indigenous to South Morocco, and grows in the arid countryside at the edge of the Sahara Desert. Because of its nutty flavour, argan oil plays a role in traditional Moroccan cuisine. Folk remedies include argan oil to help protect skin against the harsh conditions of the desert climate. Licorice: Also known as 'sweet wood', this is an anti-irritant. Aveda's "Art and Science of Pure Flower and Plant Essences" calls for ingredients of the highest integrity. Our mission at Aveda is to care for the world we live in, from the products we make to the ways in which we give back to society. Deluxe Spa Basket, "I Think You're Wonderful" Gift Basket for Women. Bath & Body 10-Piece Gift Set. Spa Gift Basket of Bath Supplies for Women - Spa Treatment Gift Basket! Home Spa Kit makes the Best Pampering Gifts for Women! Spa Package is Ideal Gifts for Wife, Mom & All Your Loved Ones!